Security concerns are bringing Egypt closer to Israel and the US. But Cairo is not a reliable partner. Under President Abdel Fattah al-Sisi, domestic security looks to be underpinning Egypt’s major foreign policy decisions in the coming year. To deal with internal instability, al-Sisi will likely seek out strong strategic partners with common security interests – particularly Israel and a Donald Trump-led US. 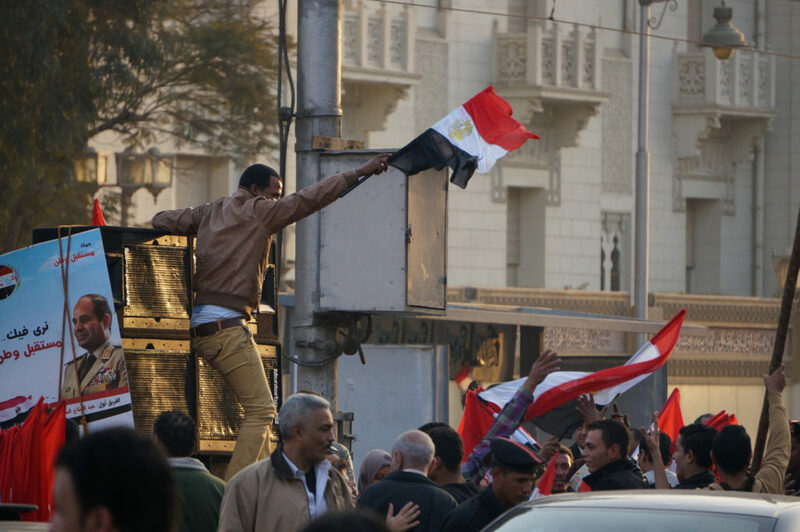 From the Cold War to the present date, Egypt has often forged a fiercely independent foreign policy. Despite being more concerned with domestic policy than his predecessors, al-Sisi has continued this approach of non-alignment. Recent defence expenditures reflect this, with Egypt spending big on weapons from France, Germany, Russia and China. More significantly, Egyptian relations with Israel and the US have undergone significant changes since al-Sisi’s rise to power in 2014. Israel, a historic adversary, has sought closer cooperation with Egypt, particularly over ISIS, the Muslim Brotherhood, and Hamas. On the other hand, relations with the US have suffered following President Sisi’s removal of Mohamed Morsi – an Islamist who was democratically elected in 2012. Accordingly, Donald Trump’s election is a welcome development for the Egyptian government. Promising a more hands-off approach to the region, Trump will appeal to Egyptians who felt betrayed by Washington’s statements during the 2011 revolution, which urged former President Hosni Mubarak and led to four years of instability. Al-Sisi himself has also spoken favourably about Mr Trump and was one of the first state leaders to congratulate the president-elect on his electoral victory. With Trump taking office in 2017, Egypt’s president has a chance to turn over a new leaf with the US and build on cooperation with Israel. Al-Sisi, Trump, and Israeli Prime Minister Benjamin Netanyahu share uncompromising approaches to dealing with domestic security. Although Trump has advocated the US take a diminished role in the Middle East, shared security concerns will likely drive increased cooperation among all three. 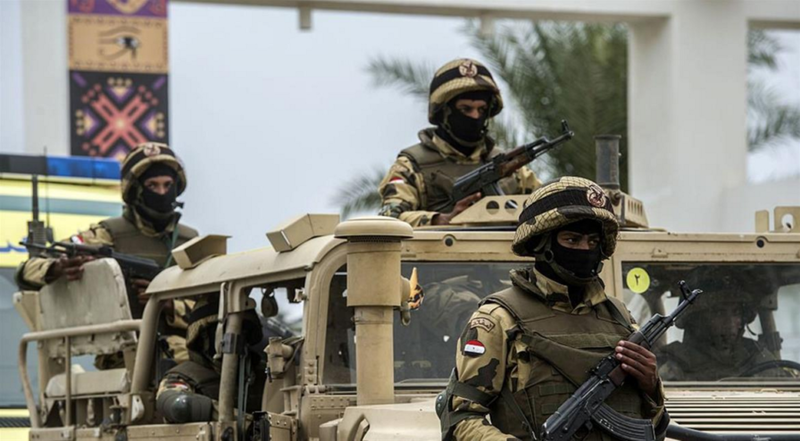 Egypt is well positioned to target ISIS franchises and President Sisi has cooperated with Israel in its efforts against ISIS in the Sinai. Cairo has also played a significant military role against another ISIS affiliate in neighbouring Libya. Trump, who has made the eradication of ISIS a priority, will likely see the benefit in strategic cooperation on this front. Furthermore, Trump’s apparent apathy towards human rights abuses – a sticking point for Obama’s relationship with al-Sisi – will be welcomed in Cairo. Similarly, despite some limited cooperation with Hamas against ISIS in the Sinai Peninsula, al-Sisi will use the perceived threat of Hamas and the Muslim Brotherhood to build foreign partnerships. So far, this cooperation has been strongest between Egypt and Israel. In a reversal of policy from his predecessor – who turned a blind eye to Egyptian-Palestinian smuggling – al-Sisi has flooded many of the smuggling tunnels leading into Palestine. While the US has had few domestic issues with the Muslim Brotherhood, Trump had repeatedly criticised Obama’s apparent friendliness with the group during Morsi’s administration. Trump’s foreign policy advisor, Walid Phares, has signalled that Trump may support the Muslim Brotherhood Terrorist Designation Act, which was introduced to the Senate by Ted Cruz in 2015. With growing Republican support in Congress against Islamist groups, the US and Egypt could pursue stronger ties over this domestic issue too. Despite the shared security interests, however, Egypt’s strategic partners cannot entirely depend upon Cairo in the long-term. Egypt’s historical animosity towards Israel, non-alignment tendencies, and internal instability make it an unreliable strategic partner. Historically, Egypt and Israel have never been close, having fought several wars against each other. Anti-Israeli sentiment, too, is felt in Egypt’s broader population outside the political and military elite. 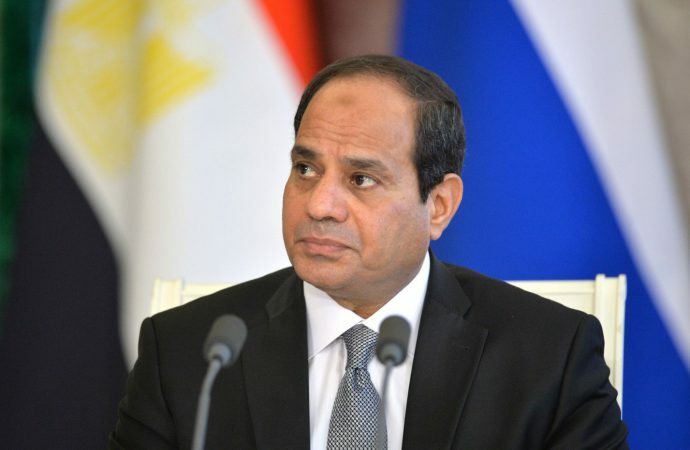 To date, al-Sisi has generally avoided making a public show of support for Israel. The few times politicians have made public efforts to normalise Egyptian-Israeli relations, as seen this year when parliamentary member Tawfiq Oshaka invited Israel’s ambassador to his home, public backlash has followed – in that specific case, Oshaka was expelled from parliament. While this history may not stop cooperation outright, it will limit the extent of the partnership Egypt is willing to build with Israel. Additionally, Egypt’s tendencies to reach out to states on either side of ideological and strategic divides could lead to sudden and unexpected breakdowns in relations with key allies. As a case in point, Saudi Arabia’s once generous financial support for al-Sisi’s regime has all but dried up over his tacit support for Syrian President Bashar al-Assad and Iran. Egypt’s relationship with Iran could also raise tensions if al-Sisi continues to reach out to Tehran diplomatically or economically. Israel, which had previously protested Morsi’s rapprochement with Iran – even though Morsi’s relationship with Iran suffered over his support for Syrian rebels – will find it difficult to support a regime that deepens its ties with a significant regional opponent. Additionally, Trump, who has been filling his cabinet and White House positions with prominent critics of Iran, will have trouble reconciling his support for Egypt with al-Sisi’s support for Tehran. Finally, Egypt’s economic and social woes will add to the country’s unreliability as a strategic partner. Egypt’s slashing of government subsidies, excessive military spending, and inflation could undermine efforts to bring stability to the country. Overall, with al-Sisi prioritising the maintenance of internal stability over broader regional concerns, Egypt will likely choose strategic partners who share similar security problems. However, as Egypt appears willing to cooperate on security issues with any other state regardless of ideology or history, initial partnerships may not be dependable in the long-term.